A Russian IL-20 military aircraft heading to the Hmeymim airbase went off radar late on September 17 during an attack by four Israeli F-16 jets on Syrian targets in the province of Latakia. 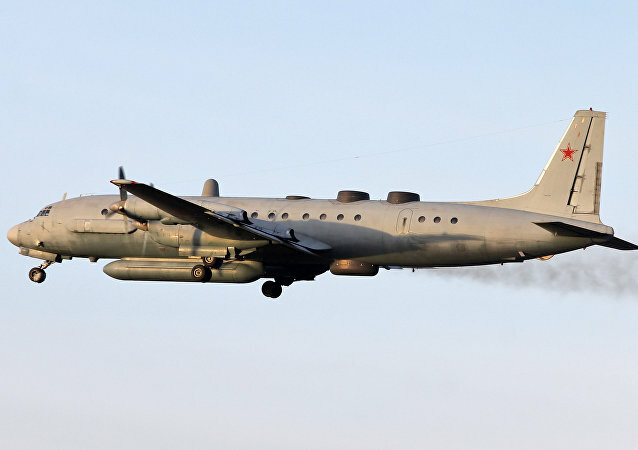 The Russian Defense Ministry had said earlier that Russia's Hmeymim Airbase had lost contact with the crew of the Russian Il-20 military aircraft with 14 servicemen on board late on Monday. The ministry has shared a map of the area of the accident. US President Donald Trump has commented on the accident with Russian Il-20 aircraft accidentally downed by Syrian forces amid Israeli attack, calling it "very sad". Israeli Prime Minister Benjamin Netanyahu vowed to keep acting against Iran during the talks with Russian President Vladimir Putin, discussing the incident with downed Il-20 in Syria. "Netanyahu expressed regret over the death of Russian servicemen and said that Syria is responsible for the crash of the aircraft," Netanyahu's office said in a press release. TEL AVIV (Sputnik) - Israeli Prime Minister Benjamin Netanyahu reassured Russian President Vladimir Putin in a phone call on Tuesday that Tel Aviv is ready to provide Moscow with all necessary information to facilitate the probe into the downing of a Russian military plane in Syria, Netanyahu's press service said. "I would like to express sorrow to our council partners Russia for the tragic loss of life when the Russian plane was downed yesterday," US Special Envoy for Syria James Jeffrey said during a UN Security Council meeting. "Just as we are seeing the crisis in Idlib averted, and that is very good news, we are seeing worrying military activities elsewhere," United Nations Special Envoy Staffan de Mistura said during a meeting of the Security Council on Tuesday. "We call upon all parties ... to refrain from military actions elsewhere that would only exacerbate an already complex situation." MOSCOW (Sputnik) - The IDF stated earlier in the day that Israel would share all information on the incident with Moscow, also expressing regret over the deaths of the Russian troops and put the blame on Damascus and Tehran. 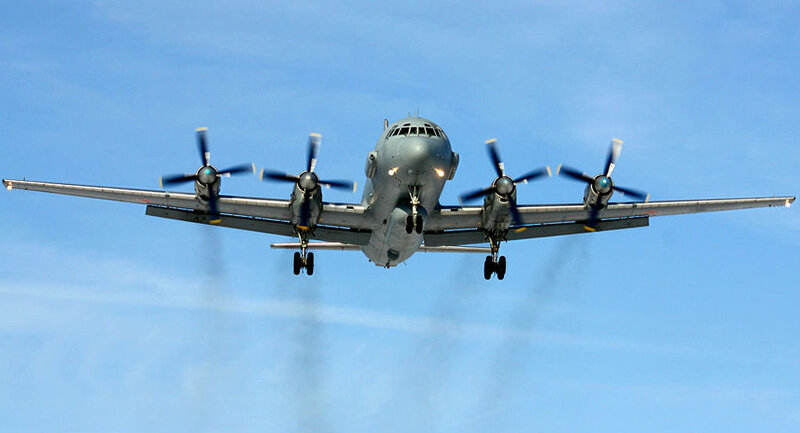 ST.PETERSBURG (Sputnik) - Israel is unlikely to freely use Syrian airspace in the wake of the crash of a Russian Il-20 military aircraft over the Mediterranean Sea, Yakov Kedmi, a former high-ranking Israeli intelligence official, told Sputnik. "Today, we notified our Israeli colleagues, in particular, I notified the Israeli defense minister, that we will not leave such actions, such steps, unanswered," Russian Defense Minister Sergei Shoigu said at a meeting with senior military commanders in Moscow. Vladimir Putin has addressed the downing of a Russian IL-20 by a Syrian surface-to-air missile on Monday evening. Earlier Moscow blamed Israeli jets for having provoked the tragic accident. — Islamic World Update (@islamicworldupd) 18 сентября 2018 г.
Israeli Prime Minister Benjamin Netanyahu plans to hold a telephone conversation in the next few hours with Russian President Vladimir Putin following the destruction of a Russian reconnaissance aircraft near Syria, a diplomatic source told Sputnik. "In the near future, there will be a conversation between the two leaders," a diplomatic source told Sputnik. A Sputnik correspondent reported that Israeli Deputy Ambassador to Russia Keren Cohen Gat had arrived at the Russian Foreign Ministry. Earlier on Tuesday, the Russian Foreign Ministry told reporters that it had summoned the Israeli ambassador "in connection with the current situation." Later in the day, Israel commented on the incident, which it blamed on Syrian military forces. The Israeli government stated that it is in constant touch with the Russian government and armed forces in connection with the destruction of the Russian Il-20 military aircraft off the coast of Syria. The number of those injured in Israel's night strikes on facilities in Syria's Latakia province has reached 10; no one on the ground was killed, hospital officials told Sputnik. Earlier, human rights activists had told Sputnik that seven people were injured. "I won't give any estimates now. The situation is being analyzed. You know that the first data revealed by this analysis have already been presented in the Defense Ministry's statement, and quite an unequivocal estimate has been given of these actions, which have been called provocative, so there is no need now to add anything to the clear message given by our Defense Ministry. All the rest [will be announced] later," Peskov said, commenting on the situation. Russia's Il-20 reconnaissance aircraft, which was shot down in Syria's skies, was fully operational and could be used until 2021, the aircraft's manufacturer, Ilyushin, said Tuesday. "Il states that the Russian Defense Ministry's Il-20, downed in Syrian skies, last underwent an overhaul in 2011, was fully operational and was to have been operated at least until 2021," the company said. "The Israeli ambassador has been summoned to the Russian Foreign Ministry in connection with the current situation," the ministry's spokesperson told reporters. Russian President Vladimir Putin has expressed his sincerest condolences to the colleagues, families, and friends of the crew of the Il-20 that was brought down near Syria, Kremlin spokesman Dmitry Peskov noted. — Kevork Almassian (@KevorkAlmassian) 17 сентября 2018 г. He also stressed that even if the Kremlin is extremely concerned about the events that led to the plane's destruction, the incident with the aircraft will not affect implementation of the Russia-Turkey memorandum on Syria, adopted by the countries' leaders on September 17. "No, this incident will not affect it in any way. This is an important, breakthrough agreement. It is crucial for the future of Syria; it has once again confirmed the ability of both Moscow and Ankara to reach a compromise and effective decisions in the interests of the ultimate goal: settlement of the Syrian conflict, by political and diplomatic means," Peskov said. Russian Defense Minister Shoigu has fully blamed Israel for the crash of the Russian Il-20 military aircraft off the coast of Syria and the death of its crew. According to the ministry, Shoigu held talks with his Israeli counterpart, Avigdor Lieberman, earlier in the day. — Israel Breaking (@IsraelBreaking) 17 сентября 2018 г. The Russian Defense Ministry has repeatedly called on the Israeli side to refrain from attacks on Syrian territory, which threaten the security of Russian servicemen. In addition, Russian radar registered missile launches from the French frigate Auvergne, which was in the area. Reacting to this information, French military Colonel Patrik Steiger said that Paris denied "any involvement in the incident." "Eight ships, including Russian Naval cutters and supply vessels, are participating in the operation to located the crew of the Russian Il-20 aircraft which crashed off the coast of Latakia," the ministry said. The bodies of the crew of the downed Il-20 and their personal belongings, as well as the wreckage of the aircraft, have been located and pulled up on board the Russian ships off the coast of Syria, the Russian Defense Ministry stated. "At the moment, the location of the plane's crash is found 27 kilometers to the west of the village of Banias [Latakia province]," the Russian Defense Ministry said. Syria's army has not yet commented on the destruction of the Russian Il-20 over the Mediterranean near Latakia province. "There are no comments on this issue," the press service of the Syrian political administration has stated. — Aldin 🇧🇦 (@aldin_ww) 17 сентября 2018 г. "No comments," the diplomatic mission's spokesperson told Sputnik. Russian Defense Ministry spokesman Maj. Gen. Igor Konashenkov noted that the search-and-rescue operation near the Russian aircraft's crash site off the coast of Syria continues. The Il-20 aircraft has been downed by Syrian military forces after Israel jets put it under attack off the Syrian coast, Russian Defense Ministry spokesman Maj. Gen. Igor Konashenkov stated. "Using the Russian plane as a shield, the Israeli pilots put it in the fire of Syrian air defense systems ... Il-20 ... was hit by the S-200 system's missile," Konashenkov stated. According to the spokesman, the Israeli jets deliberately created a dangerous situation in Latakia. He stressed that Israel's aviation control systems could not but notice the Russian aircraft as it was landing.